Langtang was among the worst hit regions in Nepal’s 2015 earthquake. A glacial collapse caused an avalanche of rock, ice and mud, resulting in an airblast, equal to half the force of the Hiroshima atom bomb. In capturing survivor responses to the disaster, the film reveals a transformation that has been sweeping the Himalaya over the last decades. 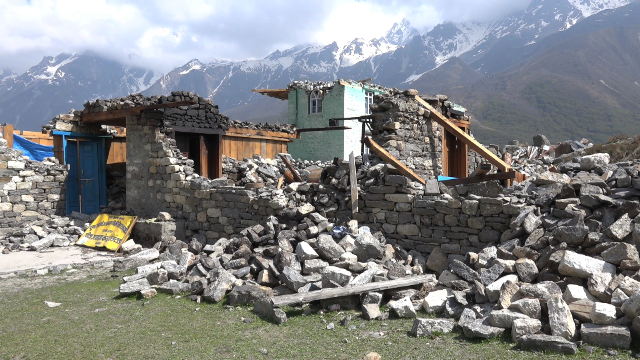 Langtang was among the worst hit regions in Nepal’s 2015 earthquake. A glacial collapse caused an avalanche of rock, ice and mud, resulting in an airblast, equal to half the force of the Hiroshima atom bomb. In capturing survivor responses to the disaster, the film reveals a transformation, that has been sweeping the Himalaya over the last decades.